Larson was a National Book Award finalist for this non-fiction opus, which is so well written it reads like a historical novel. 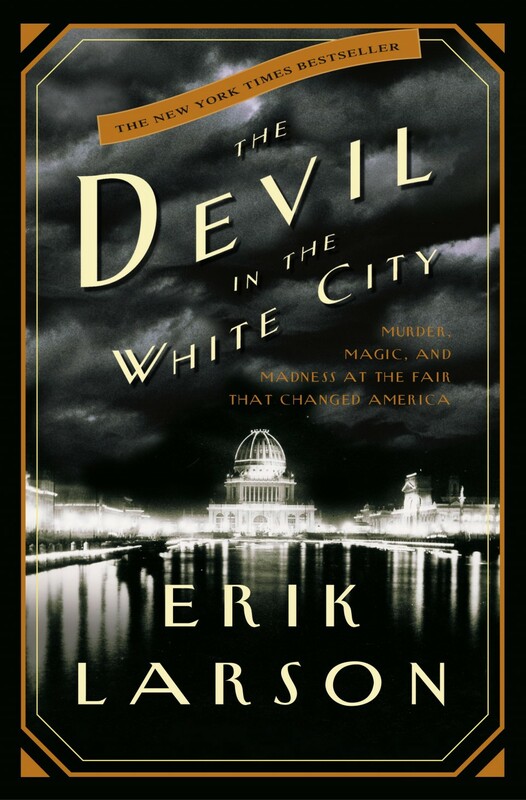 It’s about a serial killer operating in Chicago at the time of the World’s Fair in 1893. Larsen very skillfully juxtaposes the remarkable achievements of the fair’s architect, Daniel H. Burnham, in creating the “White City,” against the evil actions of H.H. Holmes, a man posing as a doctor. Holmes erected the White Fair Hotel, which was complete with a crematorium and gas chamber, and was responsible for luring countless victims, mostly single young women, to their deaths. This book is meticulously researched. I also liked his book Isaac’s Storm, about the deadliest hurricane in U.S. history, a great deal as well.